At A Smile For Life we take great pride in the personalised denture services that we can provide. With many years of clinical and technical experience in creating high quality dentures we can offer you teeth that both look natural and help to enhance and support you facial features. We utilise tried and tested techniques that recreate the character of your smile whilst paying particular attention to the function of your dentures in eating and speaking. We offer a wide range of teeth to suit your individual needs. Soft feminine moulds or more masculine bolder shaped teeth might give a more realistic smile reflecting your personality. Each denture tooth will be chosen and placed with great care to ensure it looks natural and facilitates correct speech and chewing. We offer both complete (full) dentures and partial dentures with baseplates constructed in acrylic or using metal alloys. We also repair, reline and add to existing dentures. 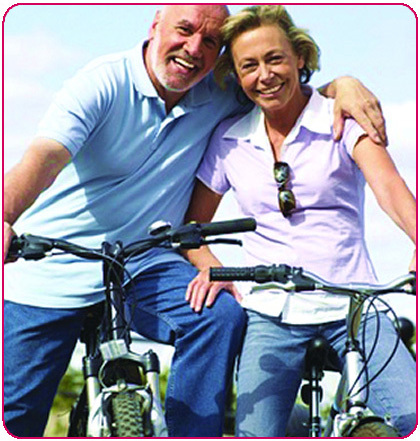 Please do not hesitate to contact us if you require further information on our denture services.